This dress is absolutely incredible. 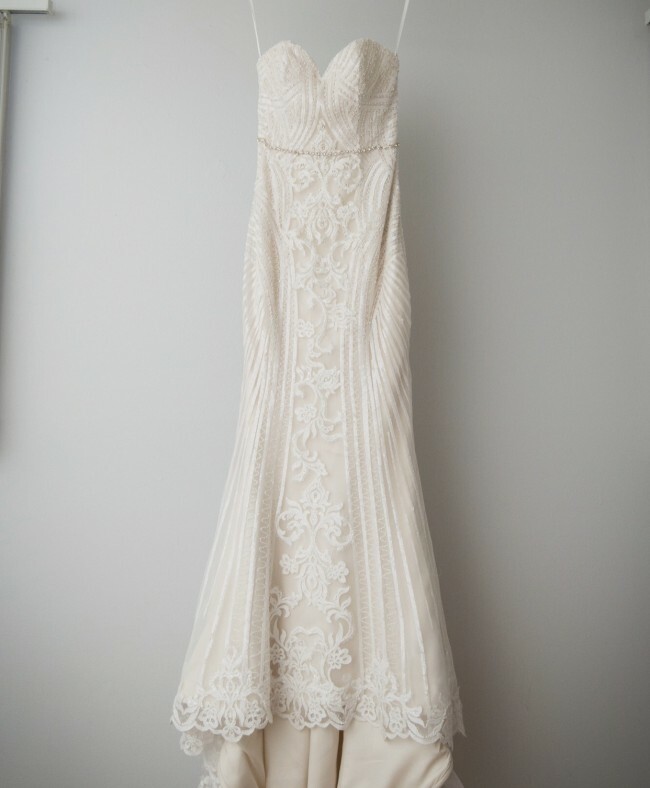 If you're looking for a Berta style beaded gown for a fraction of the price, this is your dress! My wedding guests were in awe and kept asking me which haute couture designer I was wearing - this dress really has the look of a super expensive label. The details of the dress are amazing and the beading is very beautiful and intricate. I have an ivory cathedral length veil I could include for free. The dress has been dry cleaned and in wonderful condition! Length was altered for 5'5" height with 4 inch heels. Bust, waist and hips taken in- I had the dress altered so that it is incredibly fitted from the bust down to the hips and throughout the thigh area. My measurements are: waist 26.5” - bust 35” - hips 37”. The belt pictured was added and sewn to the dress - please note the belt was damaged when dry cleaned so I had a new one added. But the belt can also be easily removed! See the last image for the new and updated belt! Once you send a message, Branka can invite you to purchase the dress.